Learning magazine announced its 2014 Teachers' Choice Award product winners for exceptional quality and outstanding performance in an educational setting. 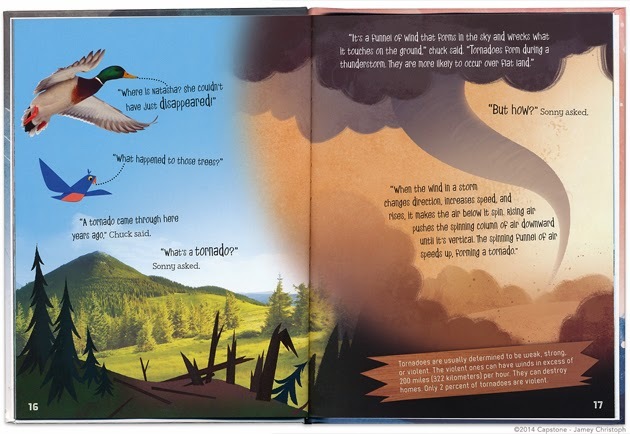 They used real life feedback to help determine the winners, and one Capstone title featuring Jamey Christoph's work was chosen for the Children's Book Program category. 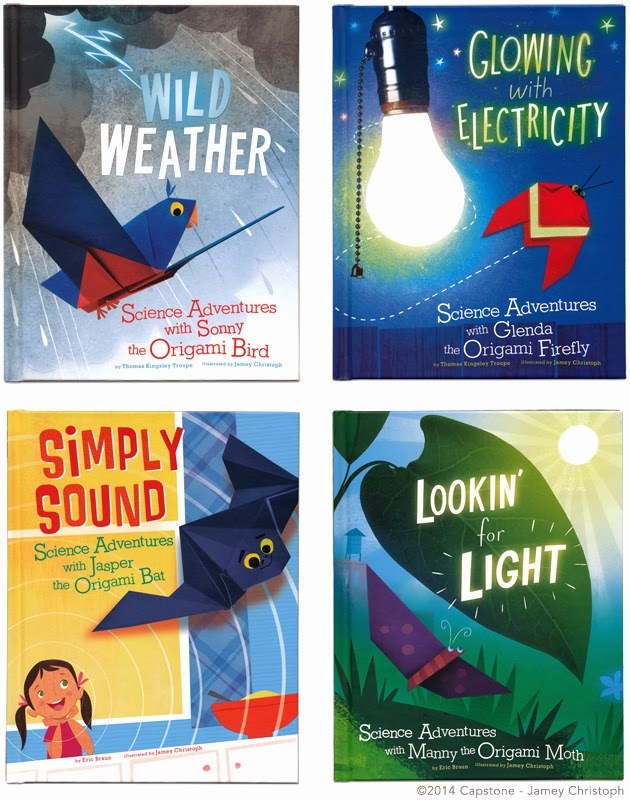 His cover and interior illustrations were created for the Origami Science Adventures book series by authors Thomas Kingsley Troupe and Eric Braun. They're fun, whimsical, and educational! See several of the cover and interior illustrations below.